WordPress has made its mark as the most popular CMS in the world. Create the most stunning WordPress websites using our WordPress hosting platform! Introduce yourself to the world wide web and bring your ideas to life with our cheap WordPress hosting plans. Whether you wish to create a blog, an e-commerce store, or just a regular website, our WordPress web hosting plans will let you do that without any limitations! Why Host Your Blog on Hosting24? Extensive years in the web hosting market has allowed us to create an efficient and reliable WordPress hosting platform. Blog hosting exclusively designed to run at full potential and maximum security. If WordPress is your script of choice, our WordPress hosting will surely make you rejoice! A fully trained and eager to help Customer Success team will be at your disposal day and night. In case you have any WordPress queries or issues, our support staff will always be by your side, and ready to assist with utmost efficiency! Are you a WordPress beginner or simply not fond of going through the whole WordPress setup process? Use our amazing 1-click installer to install the latest version of WordPress in just a few moments. Focus on your content and leave the tech stuff to us! If you are not happy with your current WordPress hosting provider, we will gladly assist you with the migration of your website to our platform! Simply contact our support staff and they will handle your WordPress site transfer as quickly as possible! Not convinced yet? All our WordPress hosting plans are applicable to a 30-day money back guarantee policy. This will allow you to test our WordPress hosting platform first before fully committing to use our services. Happy customers have always been our number one priority! Long years of extensive work has allowed us to create an extremely powerful and secure WordPress hosting platform. Flawless optimization, 99.9% uptime, and an advanced monitoring team dedicated to keeping the WordPress servers up and running are just a few of the perks that you will receive! Do you have a loads of ideas you want to bring to life? Our Premium and Business WordPress hosting plans will ensure that you can host as many domains as you need whilst easily integrating WordPress with each one. Bring your ideas to life with Hosting24 today! WordPress is an amazing website creation tool that lets you focus on your content quality rather than the technical aspects. With most themes and plugins being free, WordPress has made its way to everyone’s heart all around the world. Regardless if you are a beginner or an advanced web developer, you will find that creating a stunning website on our WordPress hosting platform is a piece of cake! Perhaps one of the most significant WordPress advantages is that you don’t need to know any coding. A convenient dashboard with lots of plugins and themes will let you create a fully functional website without much hassle! WordPress also allows you create pretty looking URLs and SEO optimize your site for search engines to give you outstanding results! No matter what idea you want to bring to life, WordPress has you covered. From simple blogs to e-commerce stores, WordPress can handle it all. It is also proud to have one of the biggest online communities out there, meaning that you can always find a solution no matter how difficult. WordPress has a wide variety of plugins to choose from depending on your needs. From contact form creation to speed optimization, you will find that WordPress offers it all. It also has many free themes to choose from, all of which you can customize and change to your liking. WordPress hosting is a unique website hosting solution. As you may have guessed, it focuses on WordPress - the world’s most popular content management system. You can use it create ANY type of website, starting from simple portfolios and blogs to affiliate websites and ecommerce stores. Can I transfer a WordPress website from another provider to one of your WordPress hosting packages? 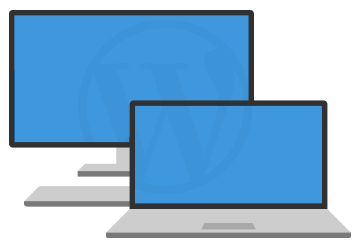 Yes, you can migrate a WordPress site from any provider to Hosting24. The best way to do it is by using a migration plugin. Alternatively, you can do it by manually transferring all files and the database. In case you need any assistance with your site migration, get in touch with our Customer Success agents and they’ll be more than happy to help! How long does it take to set up a WordPress hosting plan? The hosting environment will be activated instantly after you submit your payment. Keep in mind that if you use a domain from another registrar, you’ll need to point it to our nameservers and wait up to 24 hours for DNS propagation. After that, you’ll be set to go! What steps should I take to get started after purchasing a WordPress hosting plan? The first step will be installing WordPress, which can be done in just a few clicks using our auto installer. Then, you’ll be able to access the WordPress Dashboard and begin designing and developing your pages. WordPress hosting that your website deserves. Try the most innovative WordPress hosting platform and conquer the internet!